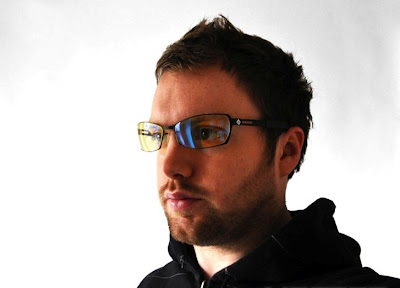 Mark Pickavance's Complete Review on SteelSeries Gaming Eyewear. The fact that I review alone in the privacy of my own office isn‘t without its benefits, I‘ve concluded. One of these is avoiding the witty remarks that would be sent in my direction if my children ever saw me wearing the SteelSeries Scope Gaming Eye wear. Seriously: just how geek can one man become? That said, I approach all review items with a degree of scepticism, and I had a truckload handy when I put these on for the first time. 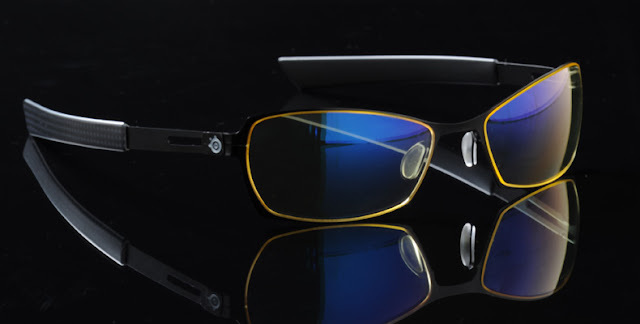 However, before 1 get on to what they're like, let's review the thinking behind these glasses, created by the highly respected team at Gunnar Optiks for SteelSeries. 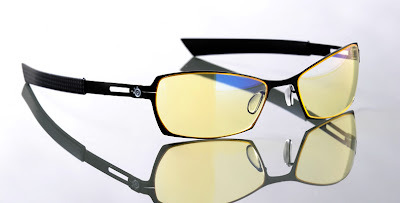 The lenses on them are coloured yellow (AMBeR as Gunnar describes it), specifically a hue designed to take out the blue/white light that LCD LED panels tend to generate as the background to Office apps and web pages. 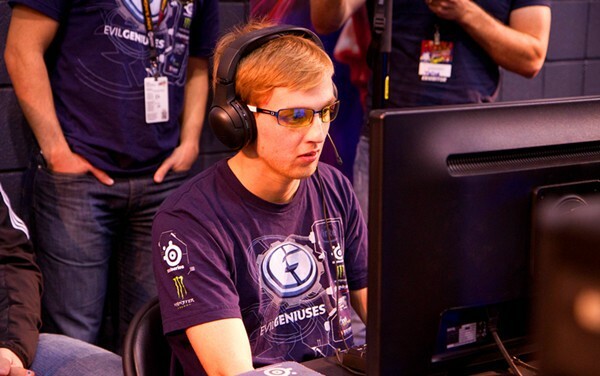 By cutting this intensity, the wearer can experience better contrast, and in theory, less eye strain. They‘re just not tinted, though, they're also a tiny bit prescriptive. The curve on these lenses is tuned to +0.2 dioptres, which is designed to help with the close focus that the eyes rely on when viewing a monitor. For those who wear glasses and actually need a prescription stronger than that, Gunnar do have RX options. However, I'd image having a pair of these to your exact spec could be expensive, though I have no hard numbers to give you. For everyone else the +0.2 dioptre curve should allow the lens muscles to relax more when working at the screen, and that in turn should result in less tiredness and eye strain, but the critical point here is does it work? Yes, but with caveats. The first few days I used these I hated them with a passion, because they actually seemed to make my eyes more tired than they normally become. I persevered, however, and eventually my eyes got used to to accepting the help, and they started to work much, much better. I can imagine that this process, which could easily take a couple of weeks, could put many people off, but I can also assure you that they do eventually make a genuine difference. 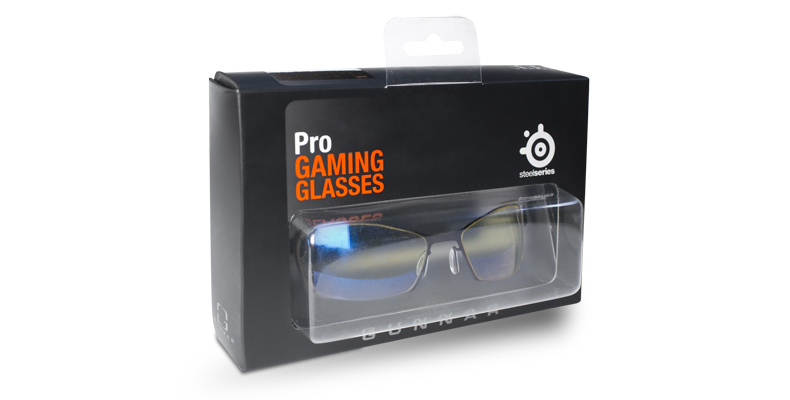 Although they're specifically pushed as ‘gaming eyewear' they offer the most benefit to me when I'm working with Microsoft Word, as the black letters on a white background have a much higher contrast. it could be argued that better monitor adjustments would help with this, but the Scope glasses work on all screens however they've been configured. Where they're not going to find favour is with those who colour adjust graphics for a living, but you can't please everyone. What else should I mention? They weigh only 20g, which in one breath tells you that they're light to carry, and in another that they're not remotely robust. They come in a soft carry pouch, but if I'd spent this much on a pair of specs I'd want to put them in something more likely to protect them from being sat on - or other such terminal fates. They are expensive, but if you spend a long time in front of a screen on a regular basis, you might consider the investment in supporting your eyes is worth it.